Martin Alcorta is a postdoctoral researcher in the Physics Division. As an advocate of Science, Technology, Engineering and Math (STEM) he participates in science outreach by speaking to students at various grade levels. 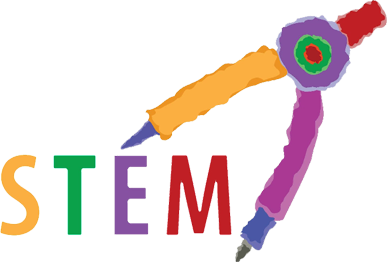 Alcorta believes in reaching out to students and getting them excited about STEM. He emphasizes to students that science is everywhere in our daily lives, one needs to only look to find it. He encourages students to never lose their curiosity. “My main goal, especially with young students, is to try to get them to realize that science is fun,” says Alcorta. He starts by focusing on what a scientist does in their day-to-day life. How they perform research in a laboratory and record their findings. He then explains the principles of physics to students by describing how everyday technology works. He details how video games, computers, the Internet and cell phones function. This brings science to the students in a fun way they can understand. Alcorta believes that children need to learn to question things more and inquire about the world around them. In addition to his classroom outreach he takes part in many science fairs where he discusses his research. He hopes to inspire students to look at the world with a new curiosity. “I want them to understand that science isn’t something boring,” says Alcorta, “science is very exciting and it affects us every day.” He also seeks to inform students on the work he does. “I want people to know that while we may do fundamental research with no direct practical application, society is still better because of science,” says Alcorta, “science is an enormous force behind the betterment of society.” He feels students have a right to know what he is doing and should learn about his research since taxpayers’ dollars are funding his work. Alcorta has found his experience in “getting the word out” about science to be beneficial and interesting. He has been warmly received wherever he goes to talk about science, his research and Argonne. “I was surprised to find out just how much the students knew or understood,” said Alcorta. He enjoyed the interaction of speaking to the students and answering the questions they asked. He encourages postdocs to attend outreach functions as participants. One does not need to lecture at an event to be a part of an outreach program. He recommends attending science fairs, science bowls or attending the Argonne Speakers Bureau. These events all provide opportunities for postdocs to meet fellow researchers, collaborate and get comfortable talking about science in a public setting. Martin Alcorta (PHY) has been at Argonne for three years as a postdoc. Alcorta grew up in the suburbs surrounding the laboratory and calls the Chicagoland area his home. He received his bachelors of arts in Physics from the University of Chicago and his Ph.D. in Nuclear Physics from the Universidad Complutense de Madrid. His current research focuses on experimental nuclear physics, especially nuclear structure and reactions. He has recently accepted a position at Canada’s National Laboratory for Particle and Nuclear Physics TRIUMF in Vancouver, British Columbia, where he will continue his research. This entry was posted in Communicating Science, Outreach and tagged Communicating Science, engineering, math, outreach, science, stem, technology. Bookmark the permalink.